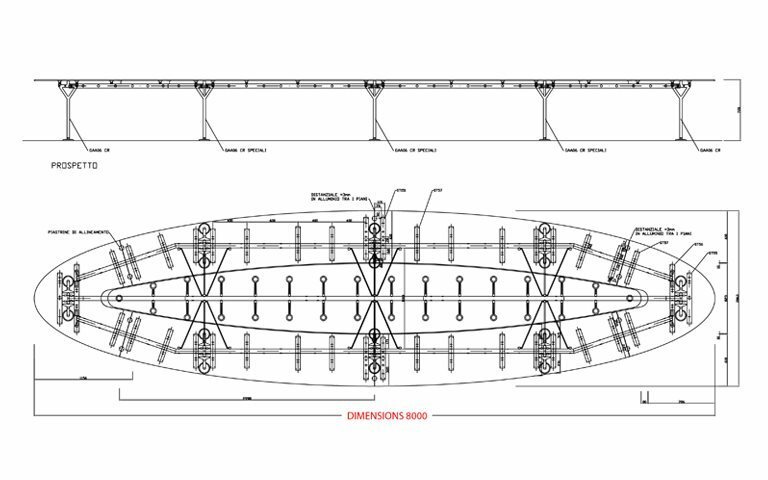 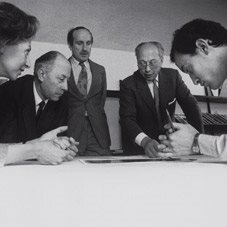 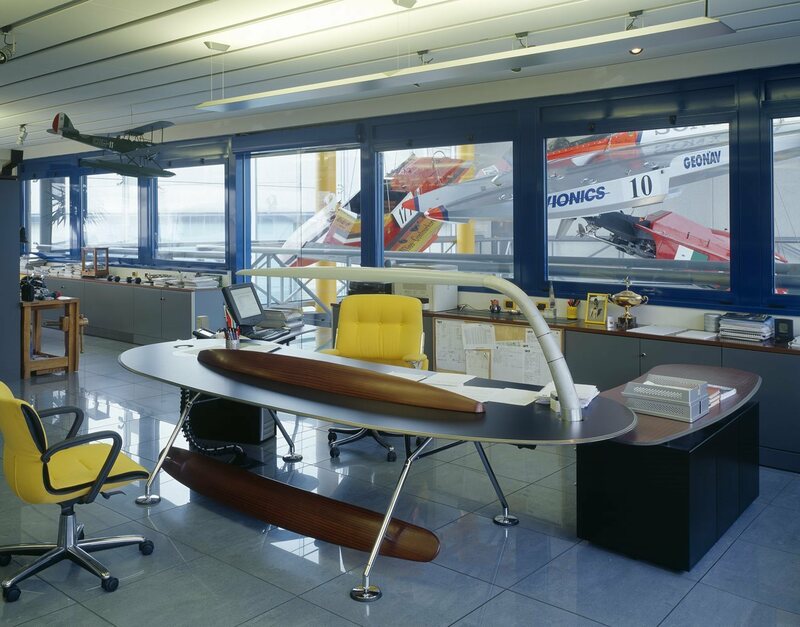 Leader in high performances motor boats as well as in the marine military field, FB Design founded in 1971 by Fabio Buzzi chose Tecno to be supported in the project and installation ot the working spaces in the new building in Oggiono, Lecco (Italy). 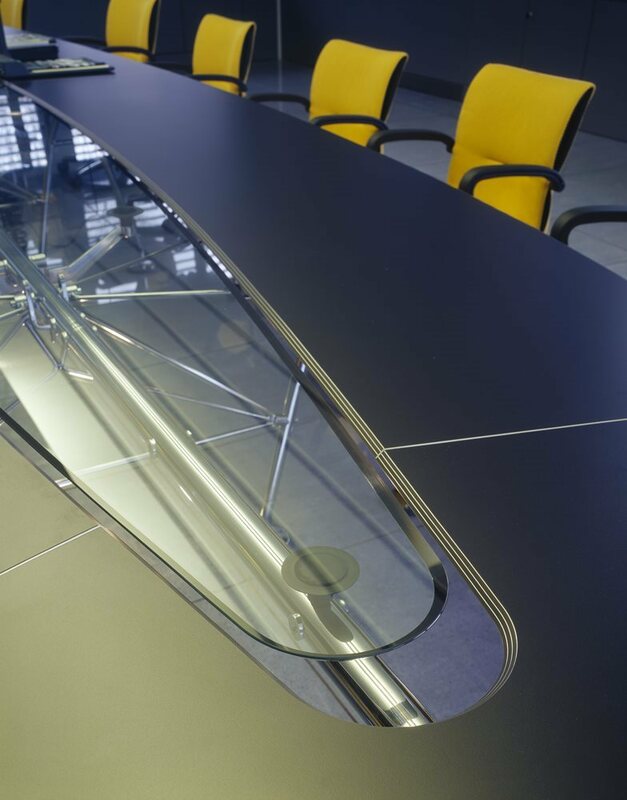 The first aim of the project was to create a link between the engineering area, core-business of the company, and the production area, in an high-branded environment, where the brand colour (yellow) leaves clear signs in the space. 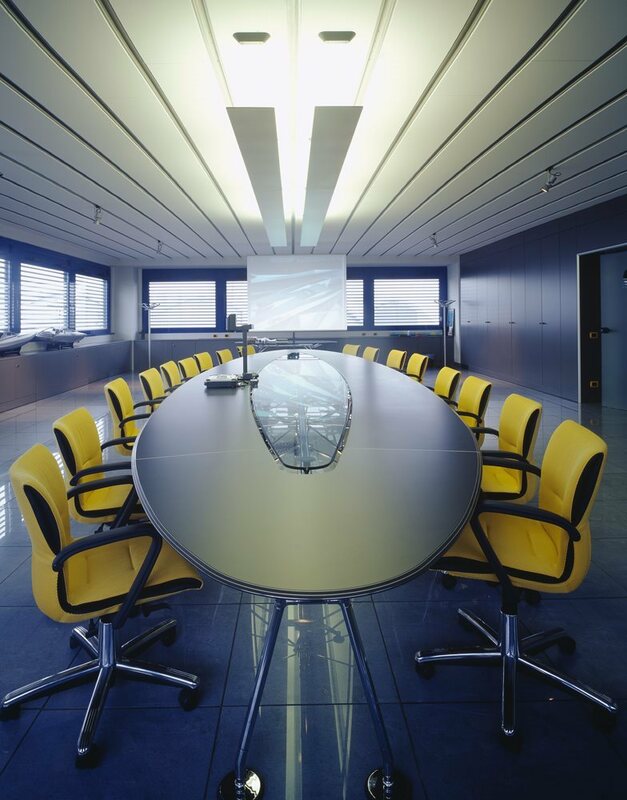 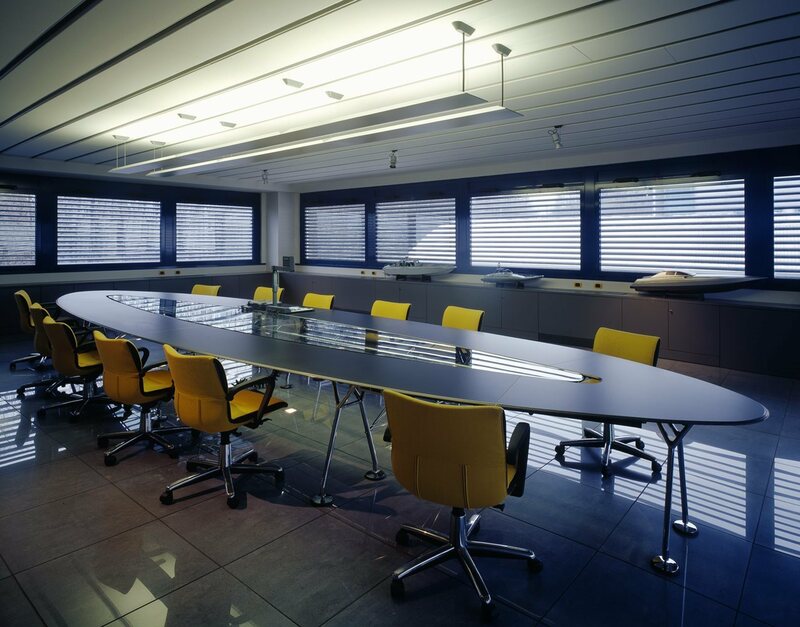 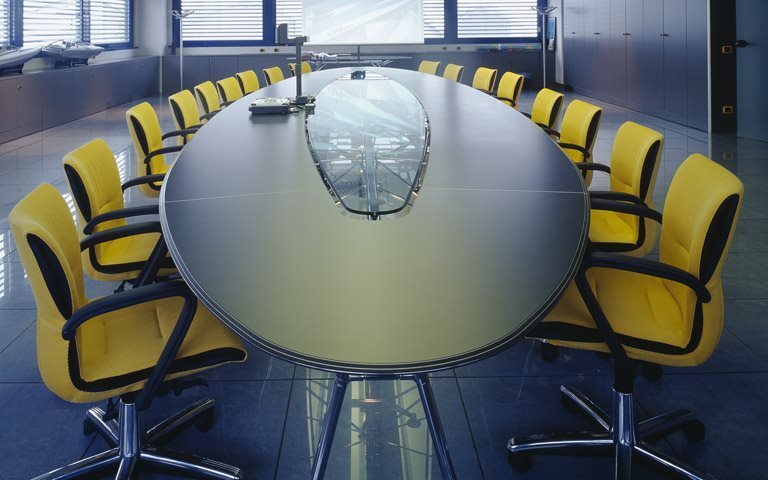 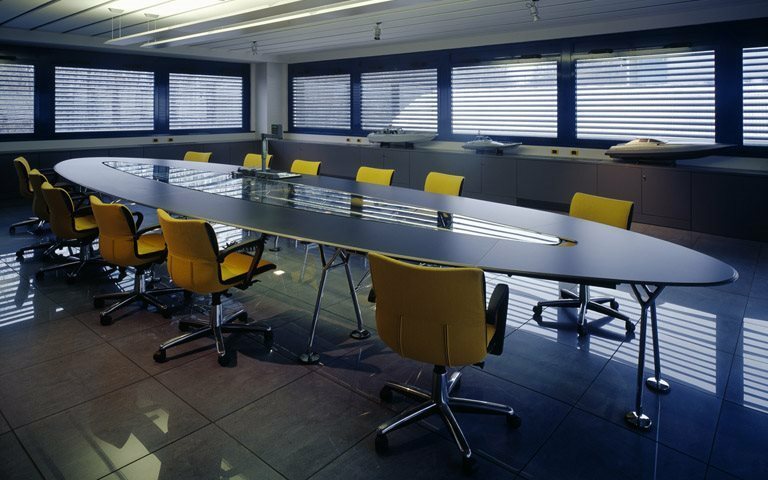 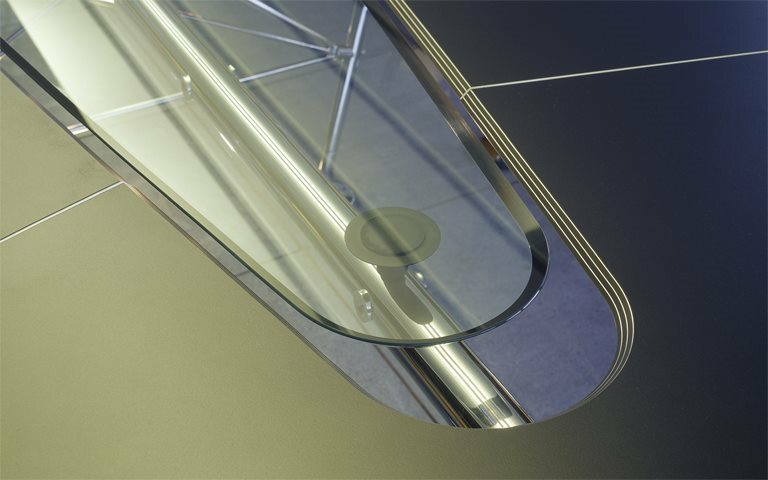 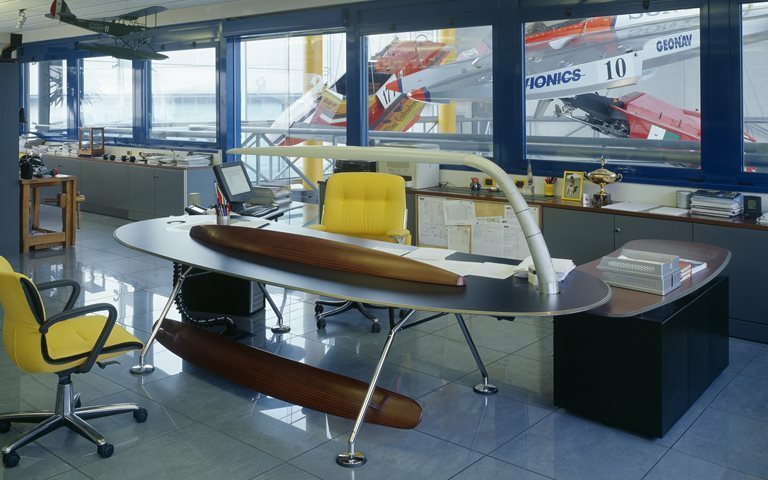 Special editions of the Nomos table were made for different solutions: boomerang-shaped for the head offices, in glass (back-varnished in yellow) with black base for the administration and in a extra-long version (6,5 m) for the meeting room with a glass-core lightened from the floor and the top in AluCompact.